It has been my privilege to serve as your Central Division Director since July 2016, and for the six years before as Vice Director. I have traveled to hamfests, conventions, and club meetings and responded to your concerns. I have attended ARRL Board and Committee meetings working diligently to represent you. The ARRL needs strong, committed, and experienced leadership to meet the challenges that we face. I presently serve on the ARRL Administration and Finance Committee, 2018 CEO Search Committee, OO-Program Review Committee, and as Chair of the ARRL Board’s EMC “ElectroMagnetic Compatibility” Committee. I have formerly served on the Program and Services Committee, Ethics and Elections Committee, VHF Contest Revitalization Committee, and as the Board Liaison to the VUAC. Prior to my election as Vice Director I was the Central Division representative to the VUAC and the VRAC. First licensed in 1970 as WB9FBX, I became W9XA in 1977 and I hold the FCC Second Class Commercial Radio-Telegraph license. I have Life Membership in the ARRL, the Central States VHF Society, AMSAT and ARRL Maxim Society. I belong to MARS, RSGB, SMC, CW Operators Club, A-1 Operators Club, FRRL, NIDXA and I sort QSL cards for the Ninth Area QSL Bureau. 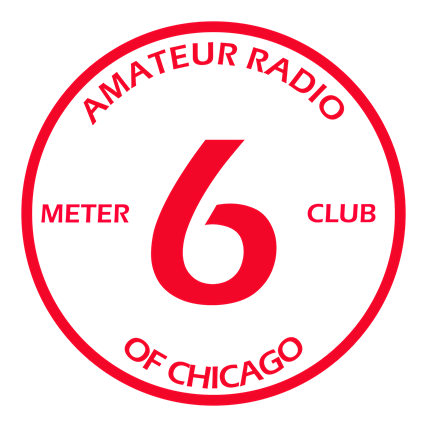 I have hosted Amateur Radio Conferences in the Chicago area for AMSAT, TAPR-DCC, the Central States VHF Society and I have been on the W9DXCC DX Convention Committee for the past dozen years. My interests include VHF-UHF and above, HF DXing, contesting, homebrewing, EME, and 630 Meters. For the past 30 years I have been on staff at the Fermilab National Accelerator Laboratory in Batavia, Illinois where I am employed as a Senior Engineering Physicist. For the ten years prior I was a staff engineer and EIC at WGN-TV, Chicago. I reside in Batavia, Illinois with my XYL, Caron W9QLT. I would appreciate your continued support with your vote!